WordPress sites are frequently attacked by cyber criminals and hackers. Therefore, you must increase the security level of your site by making some changes in its admin area. Just change the username from admin and login page’s URL. You must also add a brute force login protection to your site. This will keep your site safe from numerous online security vulnerabilities. Generally, website owners accept contributions from different professionals (Admin, Content writers, SEO professionals, SMO people, etc,) to run sites smoothly and successfully. They must assign user’s role as per their roles and contributions. This can easily be done by going through the settings under the General options by navigating via the admin panel. Although, WordPress Dashboard’s sidebar is useful. But, on several occasions, you need to remove these options to make your site more useful for users. Just use this code in the functions.php file. You can easily hide the tools menu from any user. Although, the site administrator can still the tools menu. Alternatively, you can use the WordPress plugin to perform this action. By default, WordPress comes with 8 built-in color schemes. You can choose any one of them. However, there are many site owners who are fed up with the same default colors of WordPress admin area. They can change the color of the admin area of their site by visiting Users » Your Profile page. If you don’t like to use the any of the default color schemes, then don’t get worried. You can easily create your own color scheme without writing any code and use it in the site’s admin area. For this, you need to install and activate Super Thorough Admin Color Scheme and make the required changes in the admin area. A large number of Non-coders use WordPress sites to meet their business objectives. Due to the lack of the knowledge of coding knowledge, it is almost impossible to play with different codes for the customization of the admin area of their sites. Fancy Admin UI– Helps you to change primary and secondary colors from the Settings » General page. Slate Admin Theme – Get a simplified and clean design for your WordPress Admin area. It helps you to enhance the content writing experience up to a great extent by offering a clean admin user interface. Admin Menu Editor– It allows you to edit your site’s Dashboard menu. Features images are widely used in WordPress posts. But, when you see the post screen, it’s very difficult to determine which posts have featured image and which one of them don’t have. In order to solve this problem easily, just install the featured Image column plugin. As soon as you install and activate the plugin, it will add a featured image column on Posts screen. 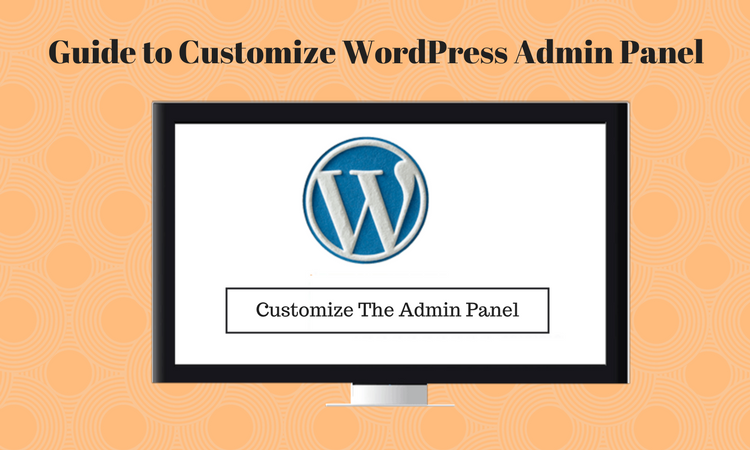 The customization of WordPress admin area is something that you can’t avoid for a long duration of time. You need to do it sooner or later to increase the user-experience and improve your site’s usability. Just follow the above-mentioned suggestions to customize the admin area of your site. Always remember that customization tips discussed here don’t end. There are many more customization options that you can explore and use. Brandon Graves is a WordPress developer. He likes to come up with useful tips and suggestions regarding wordpress cms customization, wordpress theme customization etc. To get his updates quickly, please follow him on Google Plus. How Can Salesforce Help in Security Audits?